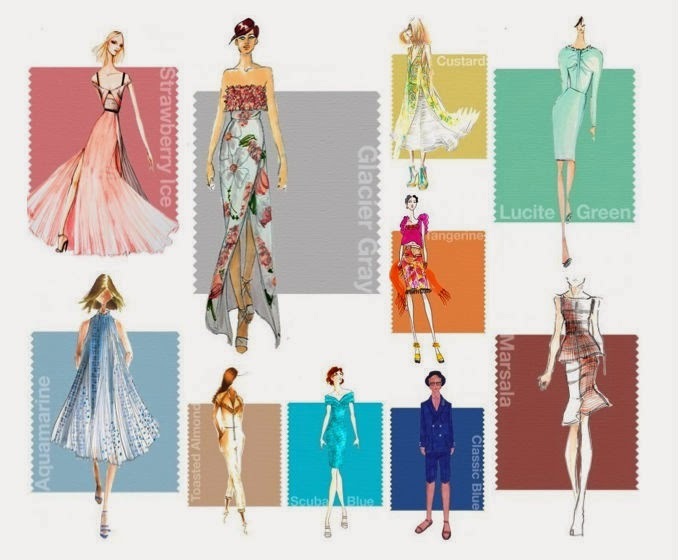 Even though it is Christmas time, Pantone has already launched their Spring colour palette for 2015. I’ve seen it and let me tell you it is beautiful! I think they picked the perfect colours! I cannot even choose my favorite. Marsala is the chosen one as the color for 2015 and I must say I completely agree! We’ve already seen various celebrities wearing dresses in this colour and they all looked gorgeous. It’s a colour that does not look good on just one skin colour and that is what I think makes it so versatile! Other than Marsala, if I had to choose my favourites, they’d be Strawberry Ice, Titanium, Woodbine and Glacier Gray. Scuba blue is also an amazingly gorgeous colour, but unfortunately it’s not one that I’d wear myseld, as it does not compliment my skin tone at all. I’d probably gravitate more towards Aquamarina or Classic Blue. What are your favorites? Do you check Pantone’s picks, once they come out? How to use and wear: Sand! Previous Post Miley Cyrus can be high fashion? Next Post Merry Christmas from me to you!